This new post-apocalyptic dagger has the rugged look of a Commando knoife or of a survivor's knife: sharp edged and saw-back. 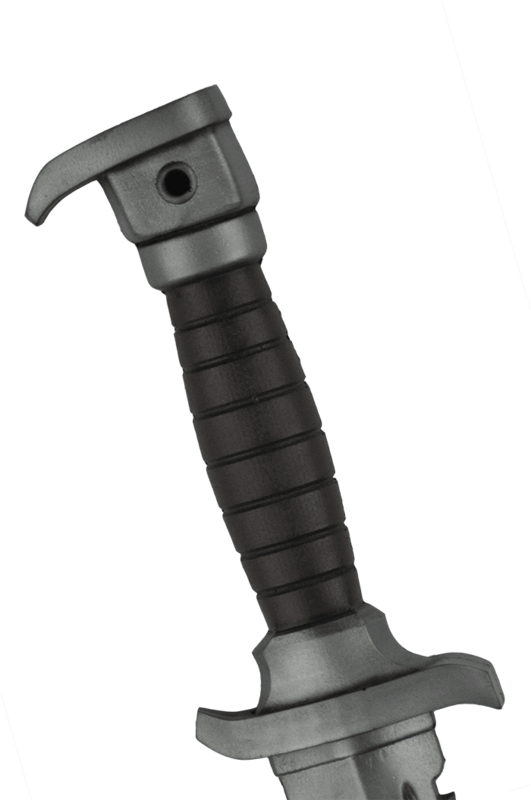 This steel-coloured blade is mounted on a brown leather-textured handle for a great grip. The whole weapon is made of our safest Calimacil foam, that will make sure to be durable enough for a life in the wasteland, but also safe enough to use in any LARP setting. 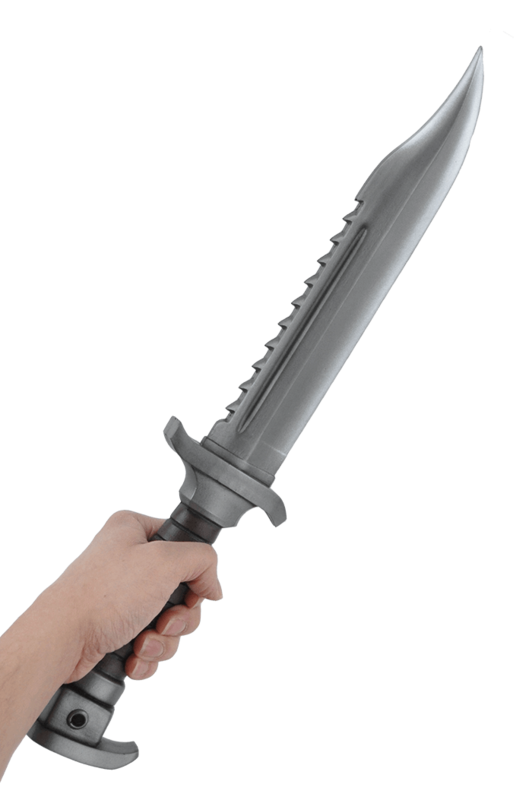 Fit for any adventurer of the wasteland or for any Urban warrior, this dagger can be used by any survivor who wants to have a single tool for everything. Great as a defense against mutated animals and raiders, it can also be used to gain control of water points and gain the upper hand in a brawl. 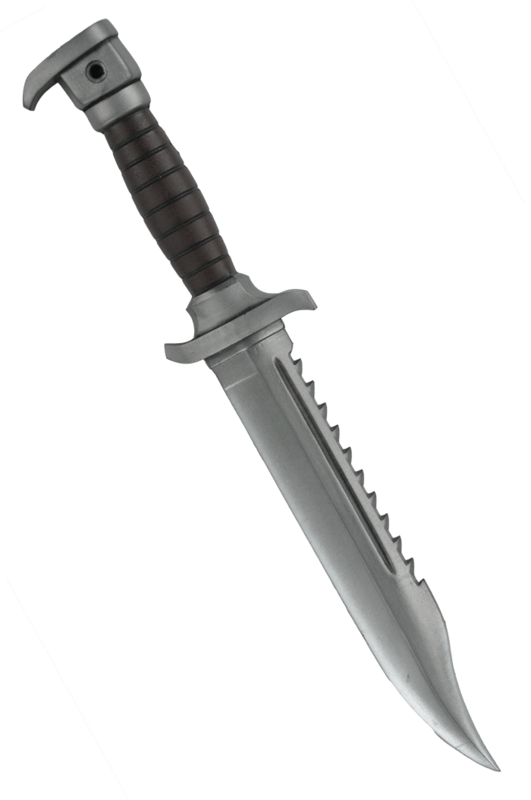 In the wasteland, when your guns fail or run out of ammunition, you can be sure that this knife will not let you down. Warning: The look of this knife is extremely realistic. Here's a video demonstrating the size and the flexibility of this fabulous Commando knife.